Whom you choose to represent you in your traffic defense case will have an enormous impact on the outcome. Even for a first offense, penalties associated with traffic violations can include license suspension, substantial fines, mandatory attendance at a State or DMV approved alcohol program (if charged with DUI/DWI) and probation. 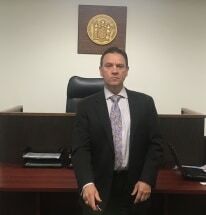 Attorney E. Gregory M. Cannarozzi is experienced, skillful and dedicated to traffic defense, and will fight for your rights every step of the way. SPECIAL AGENCIES: U.N.I.C.O. ; New Jersey Association of Professional Mediators; A.S.A. and N.S.A (Umpire); Commerce and Industry of New Jersey.